The international awards for low carbon logistics have been announced in four countries. 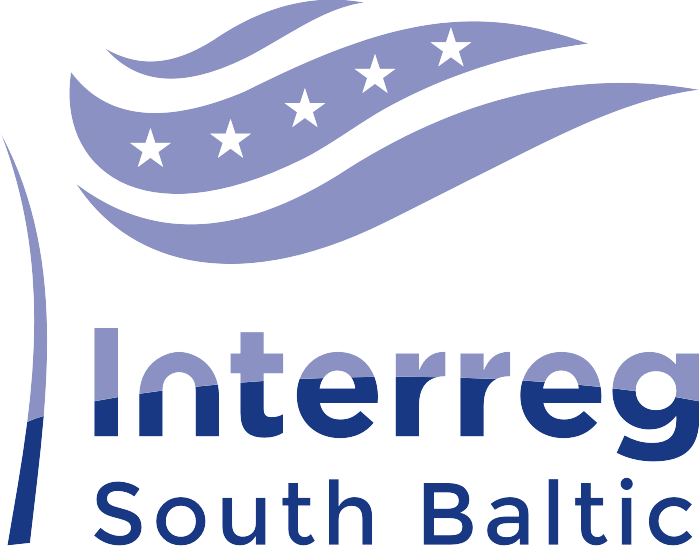 Business companies, municipalities and non-governmental organisations from Germany, Sweden, Poland and Lithuania will compete for the project of the year nomination. Initiators of the international awards look for Agents of Change which are environmentally, socially and economically conscious of future logistics challenges and opportunities and develop long-term, low-carbon, innovative and value adding investment strategies and partnerships. The contest is aimed at acknowledging and awarding projects-leaders, which contribute significantly to creating economic, environmental and social benefits on local, national and international level. Why is it worth participating? It is a great opportunity to demonstrate your achievements, to be noticed and acknowledged by the international audience and perhaps to become an example of good practice to follow. 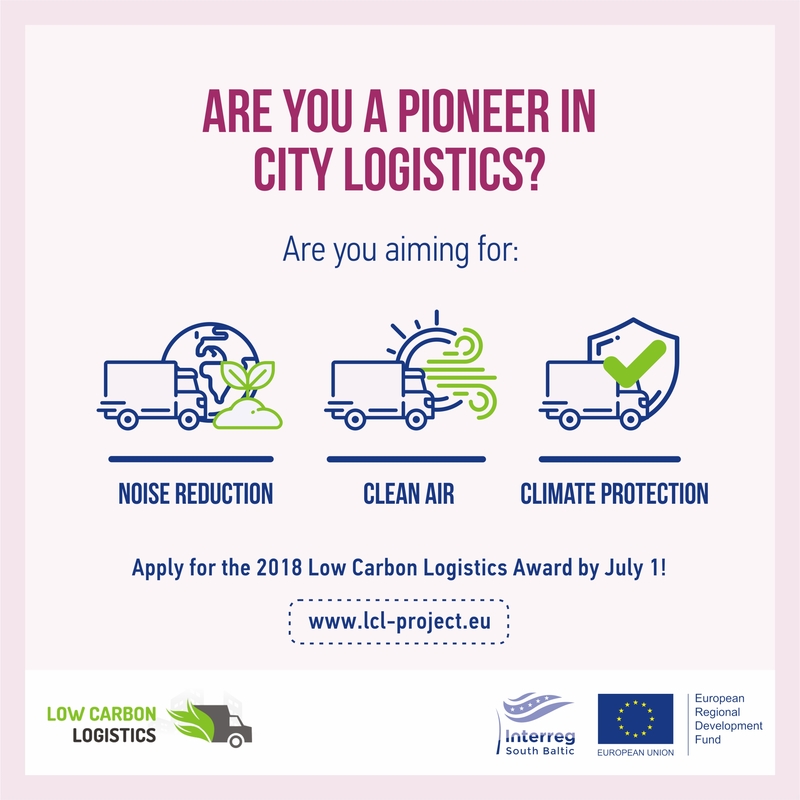 Applications are welcomed from vehicle manufacturers and retailers, fleet operators, logistics innovators, municipalities (or their companies), which develop effective cooperation projects or successful communication campaigns in the field of logistics, as well as non-governmental organisations, which aspire for cleaner, safer and more silent environment, soliciting for low carbon logistics solutions in their town or society. The contest will be arranged in several stages – on national and international ones, during which winners in the categories of business enterprises, municipalities and non-governmental organisations will be elected. The winners will be presented with a recognition and acknowledgement symbol – the sign of award for low carbon logistics. According to the forecasts published by the International Transport Forum, transportation demand in the heavy goods transport sector is set to rise threefold by 2050. Such tendencies of the logistics sector encourage to look for ways to minimise the impact of the heavy goods transport on the welfare of society and environment. Every year at least 3.5 million people die due to air pollution and almost 4000 people are victims of fatal lorry accidents in the EU countries, 1000 of which are cyclists and pedestrians. Therefore use of low carbon solutions is an inevitable condition for further global development of logistics. Awards for low carbon logistics are aimed at contributing to an active promotion of implementation of sustainable solutions.